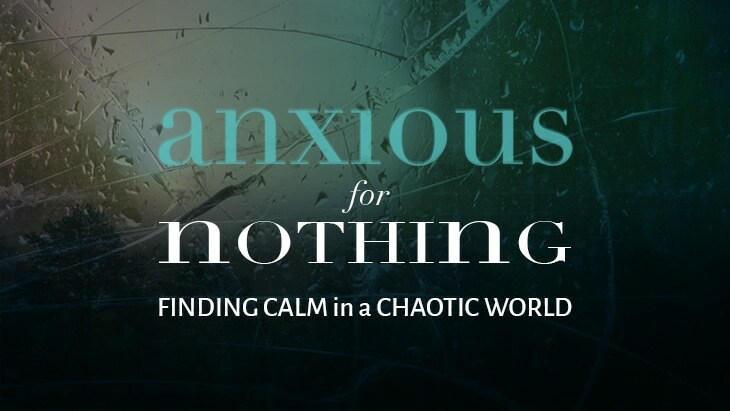 A four-week teaching series on anxiety. Does the uncertainty and chaos of life keep you up at night? Stop letting anxiety rule the day. Join us on the journey to true freedom and experience more joy, clarity, physical renewal and contentment by the power of the Holy Spirit. Anxiety comes with life. But it doesn’t have to dominate your life. This teaching series begins Sunday, September 9th. If you are one of the many people suffering from depression, there is hope and there is help a way up when you are down.This booklet provides manageable steps for getting started on the path that leads out of depression. Beth’s journey out of the pit has been heart-rending. But from this and the poetic expressions of Psalm 40 has come the reward: a new song for her soul, given by her Savior and offered to you in Get Out of That Pit. This is Beth’s most stirring message yet of the sheer hope, utter deliverance, and complete and glorious freedom of God. It’s time to say, “So long!” to insecurity! Every woman is insecure about something, her looks, her relationships, her career, you name it. The problem is, not only does insecurity make us miserable, it cripples us and makes us feel worthless, and no woman is ever worthless, especially in the eyes of God. Join respected Bible teacher Beth Moore as she encourages you to say “So long!” to insecurity and embrace all the wonderful traits and characteristics that make you the unique, beautiful, and amazing woman of God that you are. In times of suffering, simplistic answers ring empty and hollow. But Henri Nouwen, beloved spiritual thinker and author, offers real comfort in the concrete truth of God’s constancy. Nouwen suggests that by greeting life’s pains with something other than despair, we can find surprising joy in our suffering. He suggests that the way through suffering is not in denial, but rather in living fully in the midst of the trials life brings our way. If you’ve ever been there, you’ve never forgotten. The feeling is as haunting and familiar as the smell of a junior high school locker room. It’s the feeling of being undersized … or oversized … or klutzy … or less than beautiful. Of being a nerd … or a geek … or just, somehow, different.Most of all, it’s a call for bullies and victims alike (many of us are both) to seek the healing and forgiveness offered in Jesus Christ. For that healing is really the heart of this book-the only reality that can break the natural cycle of victimization and abuse.